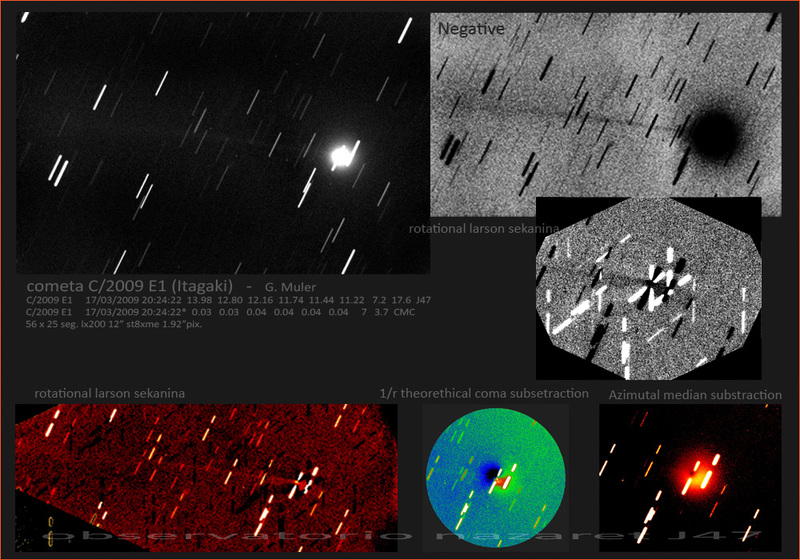 The amateur Koichi Itagaki from Yamagata, Japan found this comet on a CCD image with a 21cm f/3 reflector on March, 14 2009. This image was processed with more range in the histogram. 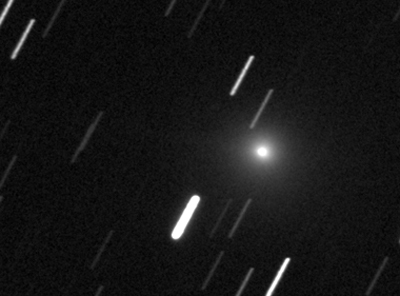 Although the faint tail is visible. 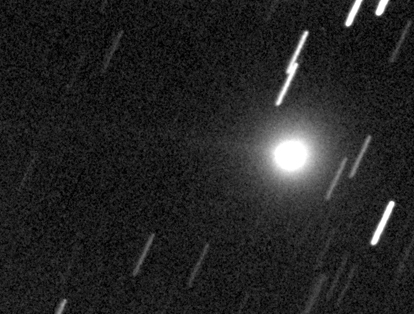 The comet shows a thin tail in PA 79� at March, 17. Images of Gustavo Muler and Francois Kugel of the same day.